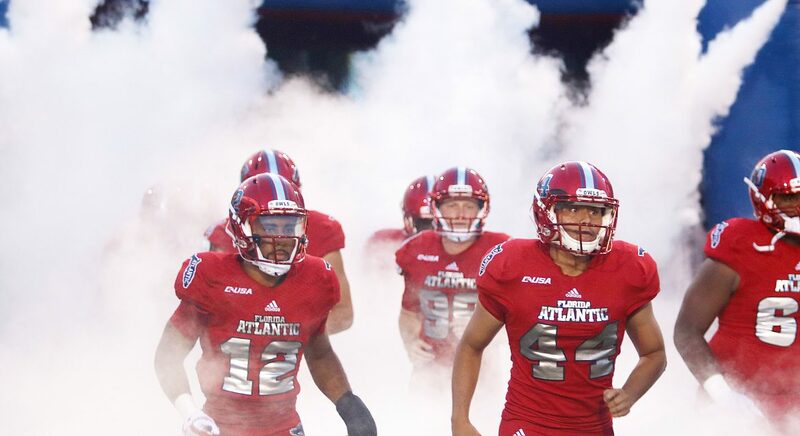 Each Sunday we review FAU’s previous game, searching for the positives and negative, the outstanding and the forgettable, from each Owl performance. 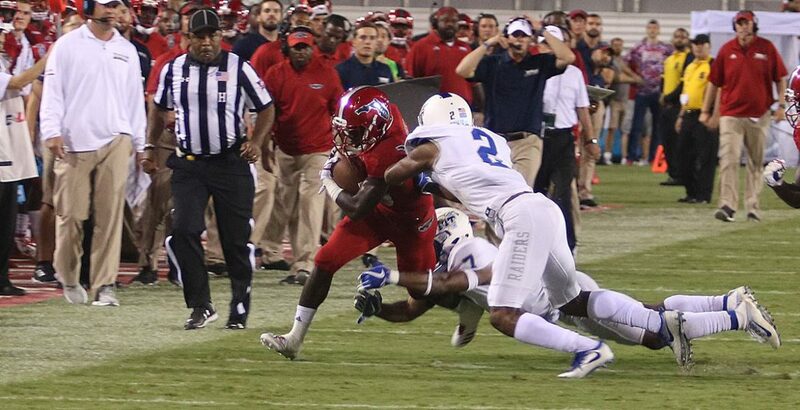 Following FAU’s 38-20 victory over Middle Tennessee, the positives far outweighed the negatives. 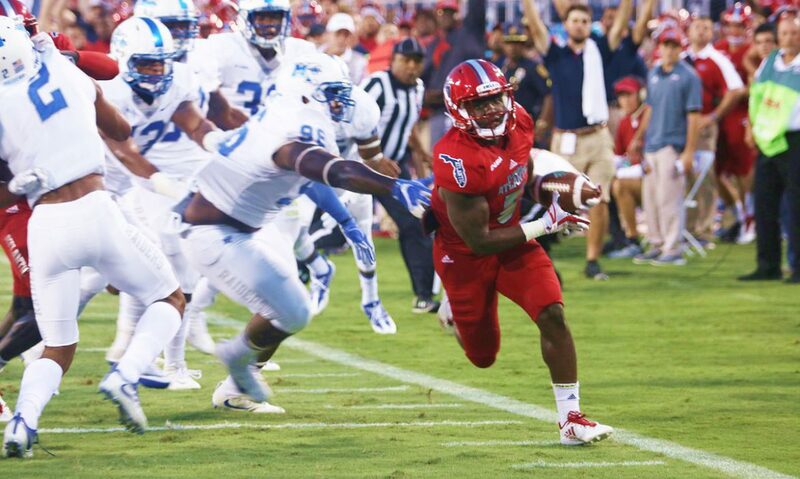 FAU opened Conference USA play with a victory while simultaneously snapping a nine-game losing streak to MTSU. We cover it all in this week’s Four Down Territory. 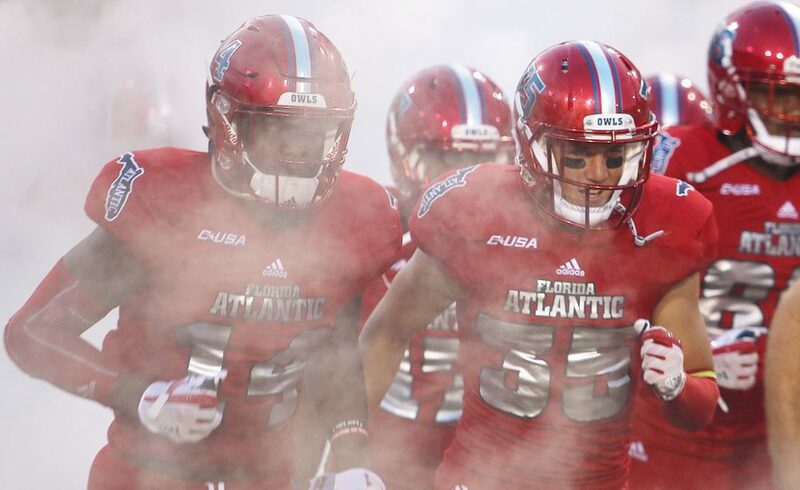 Chuck King: FAU made this victory over one of the top Conference USA teams seem easy. The Owls never trailed and eventually won by 18. 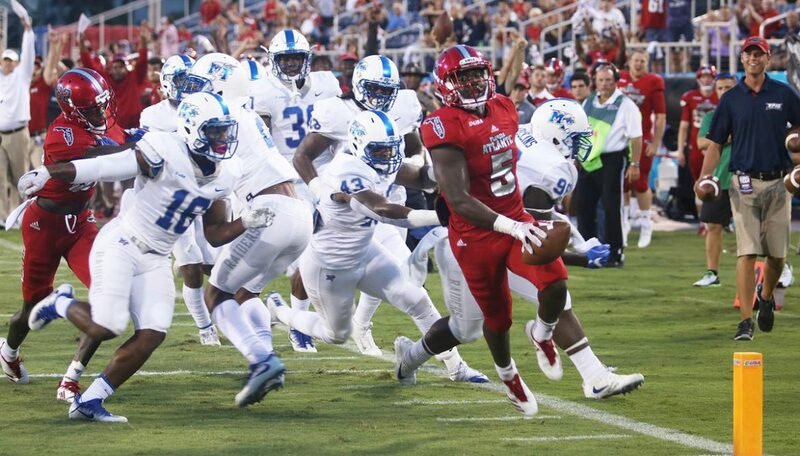 Middle Tennessee tried to make a late run, but Raekwon Williams’ interception slammed the door. Yes, MTSU entered the game banged up. But they were banged up last year, too, and still scored 77 points. 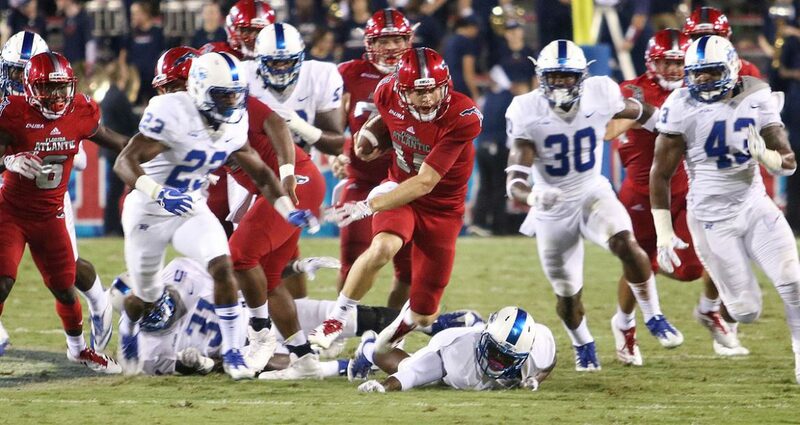 It hasn’t taken FAU long to learn how to get a team down, then put them away. Matt Wilson: Tight end Harrison Bryant enjoyed a career game on Saturday. He had seven receptions for 93 yards and a touchdown. He only had six catches all of last year and entered the game with six more this season. 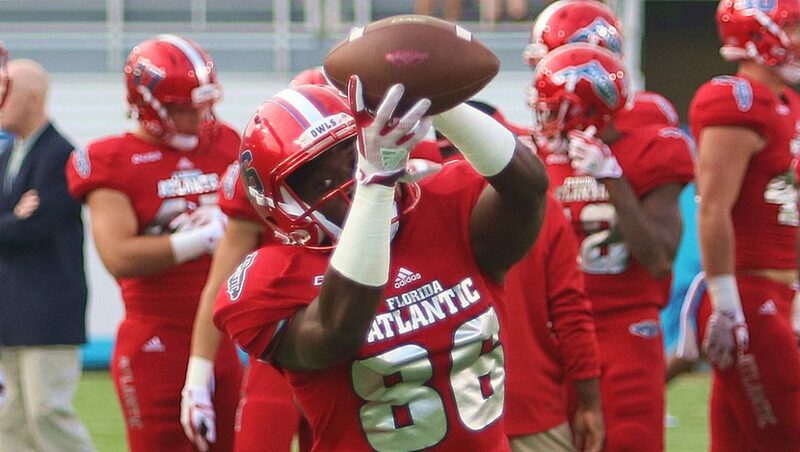 He has made huge strides on the offensive side and can potentially be a huge target for FAU in conference play. King: Yes, Devin Singletary had a huge game. Maybe four touchdowns, including a highlight stop-and-start run that earned a spot among the top plays on ESPN’s college football recap show, will finally earn an Owl Conference USA Player of the Week honors. What the defense accomplished, though, is too hard to overlook and deserves recognition. Linebacker Azeez Al-Shaair showed how much he means to this unit. 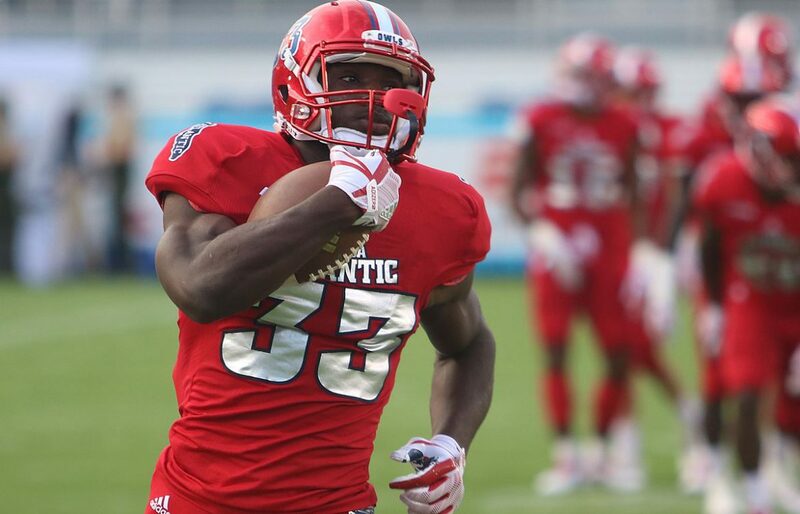 Both he and safety Jalen Young were among the Owls keenly focused this week on showing that this FAU defense is different from last year’s. Young led the Owls with eight tackles and intercepted a pass. He’d be a great choice, but Al-Shaair and his seven tackles gets the nod here. His postgame press media session showed how much this performance meant to him and the defense. Wilson: Devin Singletary had a fantastic game, rushing for 133 yards and tying a school single-game record with four rushing touchdowns. 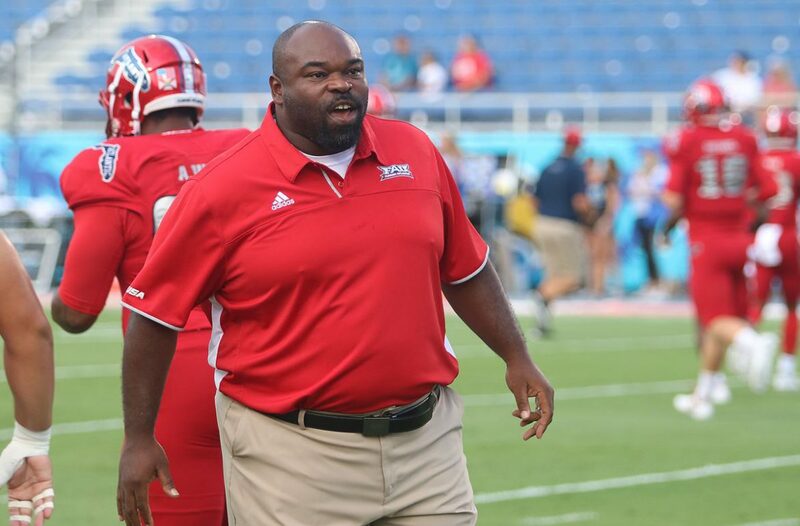 He was the game changer for FAU. Motor showed he could run well inside the 20, where all of his scores came from. Singletary’s back to the form he showed at the end of last season. 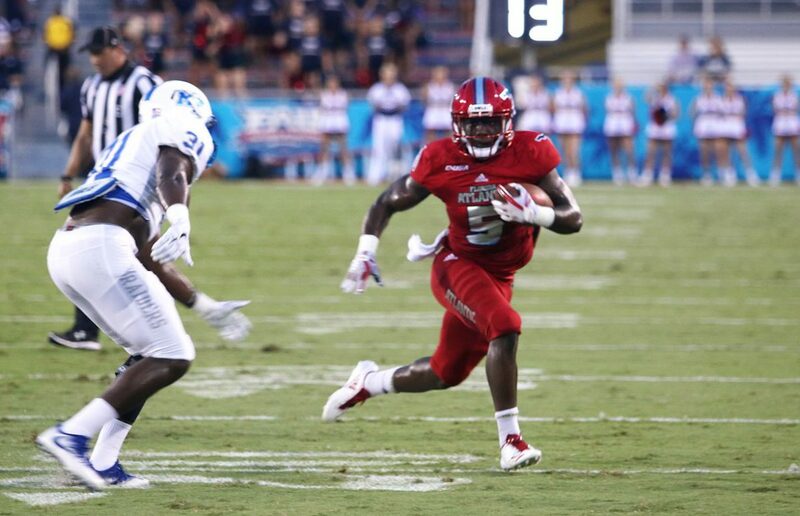 King: On the first possession of the game FAU marched through MTSU’s defense, going 75 yards in seven plays for a TD. Six of those plays were runs, five of them tallying at last five yards. So what did FAU do on its second possession? Three plays. All passes. Punt. At times it looks like the Owls can’t stand their success on the ground because it gets in the way of their desire to throw the ball. Luckily for the Owls, their disdain for the run didn’t last long. A ground-heavy third possession produced another touchdown. The Owls primarily stuck to the ground on the fourth possession, another scoring drive. Calling plays for this offense should be easy. Hand the ball to Singletary or Buddy Howell. Repeat. Relax and wait for the “W”. Wilson: Starting Jason Driskel over Daniel Parr at quarterback couldn’t have been an easy call. 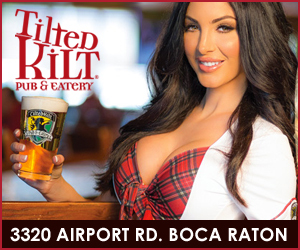 FAU lost last week to Buffalo 34-31 in Driskel’s first start of the season and he didn’t exactly amaze in the land of Buffalo wings. Against MTSU, on the other hand, he played a solid game, completing 22 of 29 passes for 187 yards and a score. Not flashy numbers, but the key stat is zero turnovers. With the production that Howell and Singletary gave during the game. Driskel perfectly played the role of game manager. King: The early departure of what had been a fairly raucous student section made an announced crowd of 12,913 even more sparse in the second half. Come on students, what more do you guys want? 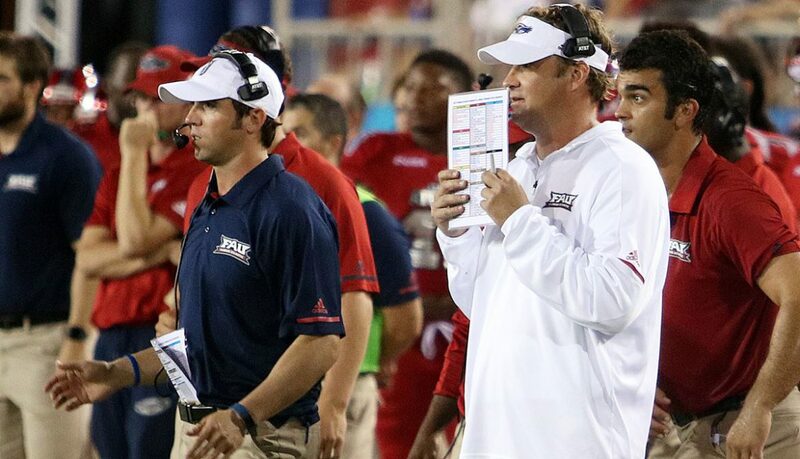 FAU led at halftime but it certainly wasn’t a blowout. And its not like victory celebrations have become ubiquitous at Howard Schnellenberger Field. 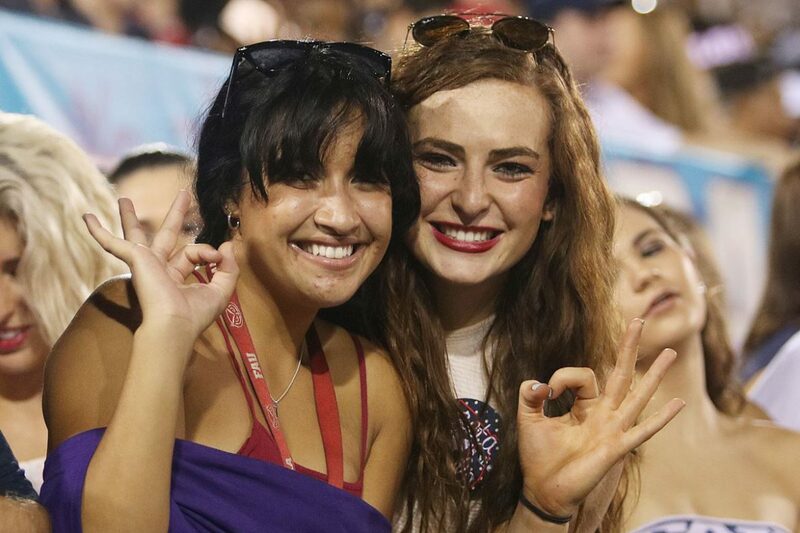 FAU wanted to move more kickoff times to the late afternoon or early evenings in order to coax more late-rising students to attend. Now those same students have too much time to tailgate before games and seem to be spent by halftime. Pace yourself kids. These fourth quarters could soon become compelling. 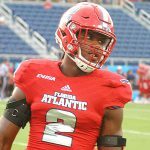 Wilson: The win last night saved the FAU season. 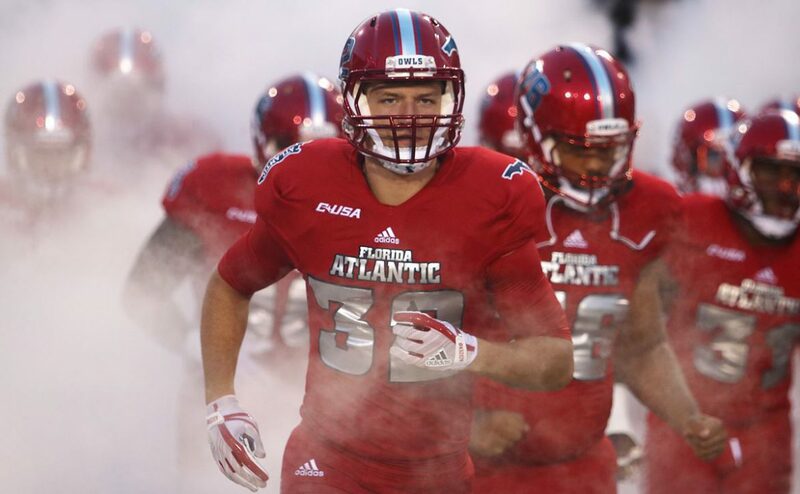 Had the Owls lost last night, FAU would have thrown away any chance of a bowl game. 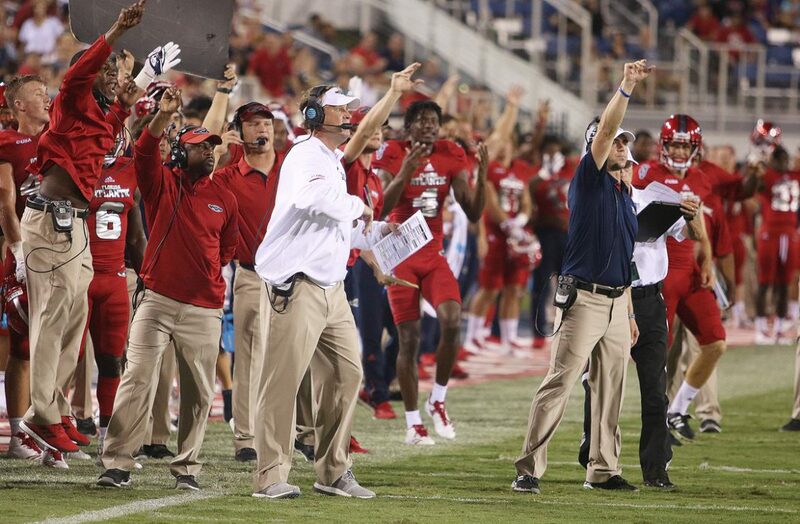 This game was a big boost for FAU moving into conference play. 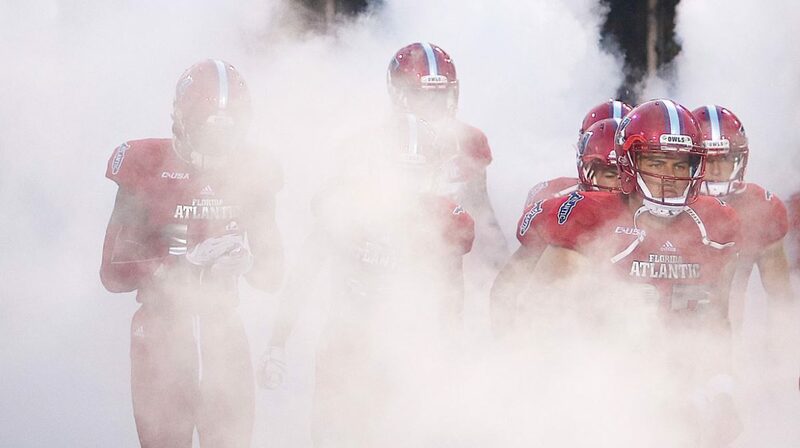 It’s the first time they’re 1-0 in conference play since 2015 when they beat a new to C-USA team, Charlotte. 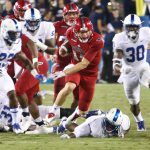 If FAU can consistently play like this throughout the rest of the season, they can think about bowling in December and maybe even a C-USA title game.